Posts Welcome To The Apocalypse. Enjoy Your Stay Here. Welcome To The Apocalypse. Enjoy Your Stay Here. 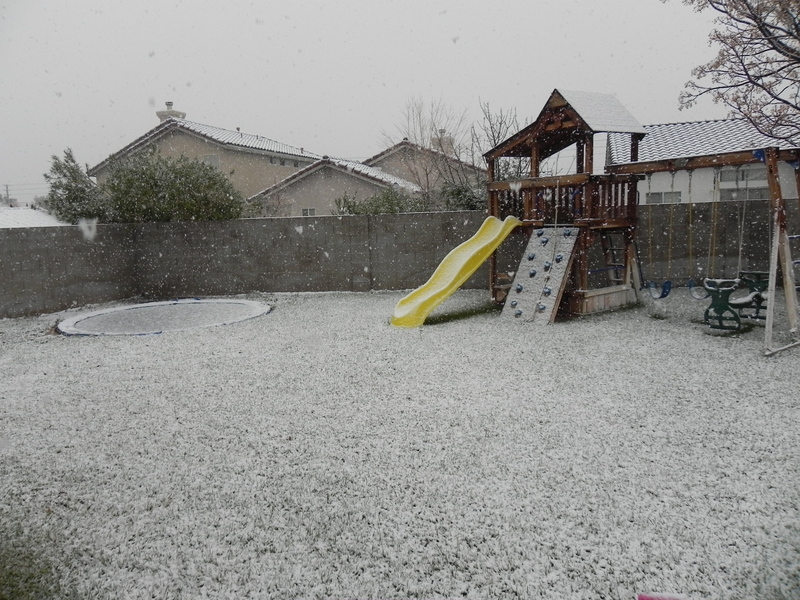 It is snowing in Las Vegas. Real, stick-t0-the-ground, the-kids-are-baffled snow. It’s beautiful and we spent the morning playing in it before Real Life called. Now I know that this isn’t the Snowpocalypse that most of us are used to (I practically learned how to shovel the driveways before I could walk) but it’s pretty unusual here. I take this as another sign that 2011 will be something magical. Snow in Vegas!!! That’s just wrong. You are kidding me?! So not fair! We’re back into the 80’s! Alison: It was so fun! And such a pleasant surprise! That’s crazy?! And 2011…magical indeed. I made some calls and arranged that, just so you know. You’re welcome.